Fresh Voices is an initiative of Vancouver Foundation. 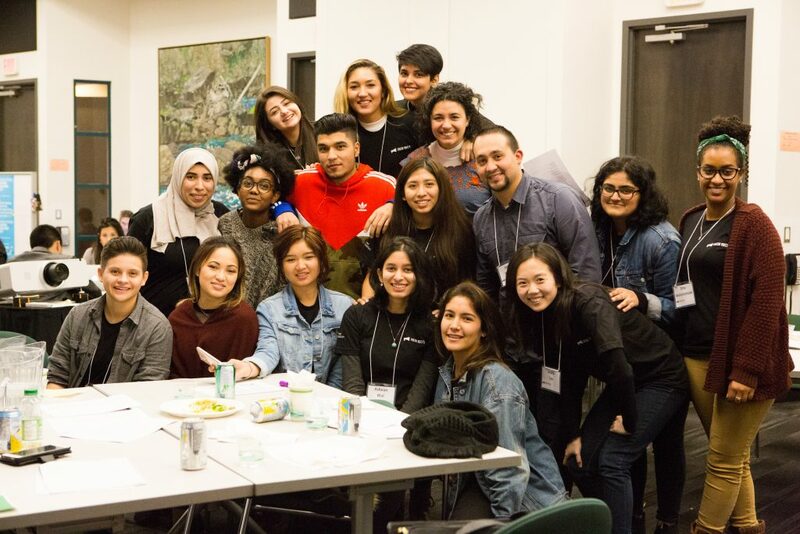 We are a group of young immigrants and refugees who work doing public engagement, research, and partnership work to improve the experience of newcomer youth in B.C. As young people, we make sure people like us are heard on the issues that affect our lives. We want to further understand the challenges facing newcomer youth to inform the policies, programs, services and community networks that we navigate. Very little is known about refugee and immigrant youth, within the context of metro Vancouver, as there is limited data collected or research studies on local immigrant and refugee communities. This research study will listen and gather information about the experiences of immigrant and refugee youth on how physical mobility, economic access, and social networks affect immigrant and refugee youth employment integration over time. The study will focus on self-identified immigrant and refugee youth (ages 15 to 30) living in Metro Vancouver. The study’s research process will strengthen youth grassroots leadership development and encourage youth engagement in active civic participation as well as raise awareness of refugee and immigrant youth experiences within the wider community. The information obtained in the research study is confidential, regardless of the form in which it is recorded, observed or expressed. Your responses are voluntary and you can withdraw from participating in the research study at any time. How does physical mobility, economic access, and social networks affect immigrant and refugee youth employment integration over time? • Physical mobility is defined as the way you move around the community and allows you to reach desired goods, services, activities and destinations. To be able to move efficiently around your community is important as it takes time, effort and financial resources. If you are an immigrant and refugee youth between 15 to 30 years old living in the Metro Vancouver area we would like to hear from you! Join us for a focus group as part of our research study about the experiences of immigrant and refugee youth and how physical mobility, economic access, and social networks affect immigrant and refugee youth employment integration over time. The study’s research process will strengthen youth leadership and will help us raise awareness and advocate for better supports for immigrant and refugee youth.